• Box dimensions: 20x20x20 cm. • You won't find a better offer anywhere! 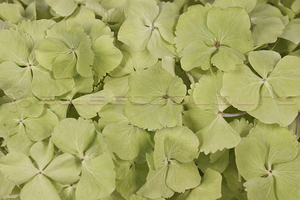 Decorative, colourful, with a long shelf-life. 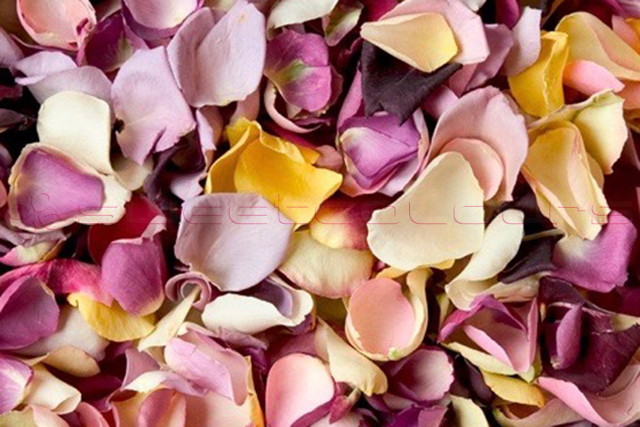 “Going GREEN” has never been easier…use our 100% natural petals! 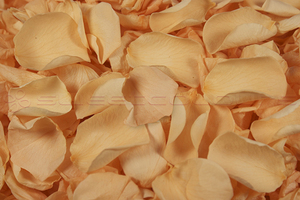 These cheap B-choice mixed freeze dried rose petals are perfect to use as confetti. 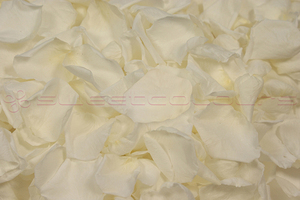 We offer these petals at unbeatable prices! Please note that the colour may vary. Not completely sure about the colour? Then use our Free sample service. 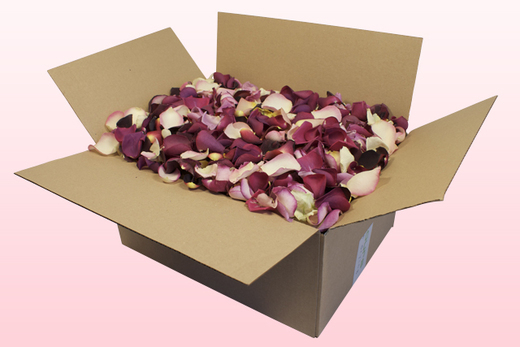 Our cheap B-choice mixed rose petals are available in 8 & 24 litre boxes. 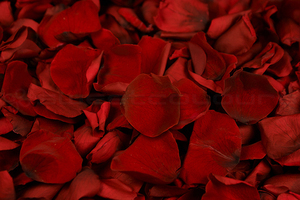 Exclusively on offer at the Rosepetalshop. 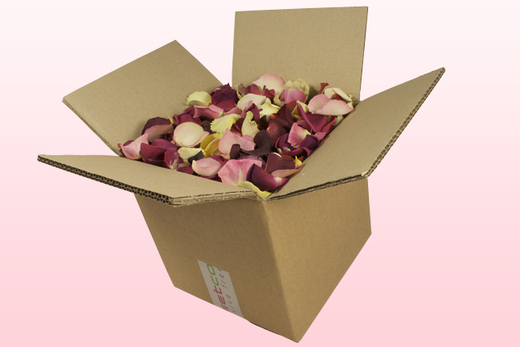 Cheapest rose petal confetti boxes in the UK!